Servant of Solomon (I Esd. v. 34), whose children returned from the Captivity with Zerubbabel. Ezra ii. 57 and Neh. vii. 59 give "the children of Hattil," though this is probably an error. 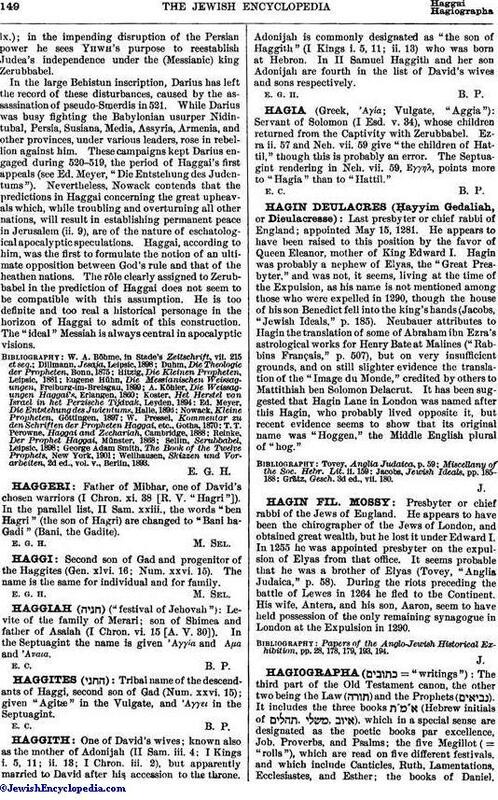 The Septuagint rendering in Neh. vii. 59, Εγγηλ, points more to "Hagia" than to "Hattil."